Mix the cooked pasta with the rest of the ingredients and put in a casserole dish. 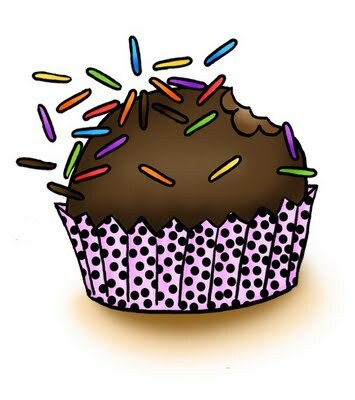 You can sprinkle the top with more cheese if you would like. My family is a cheese-a-holic, so the more the merrier here at the house! Bake at 350 until all the cheese has melted, about 15 minutes. 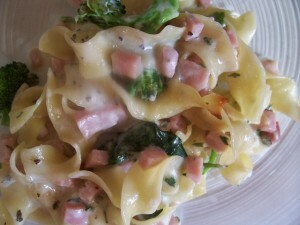 Most the the time the mayo and the cheese is enough to make a nice creamy sauce if not add the pasta is too dry. I usually add a couple splashes of cream or milk. 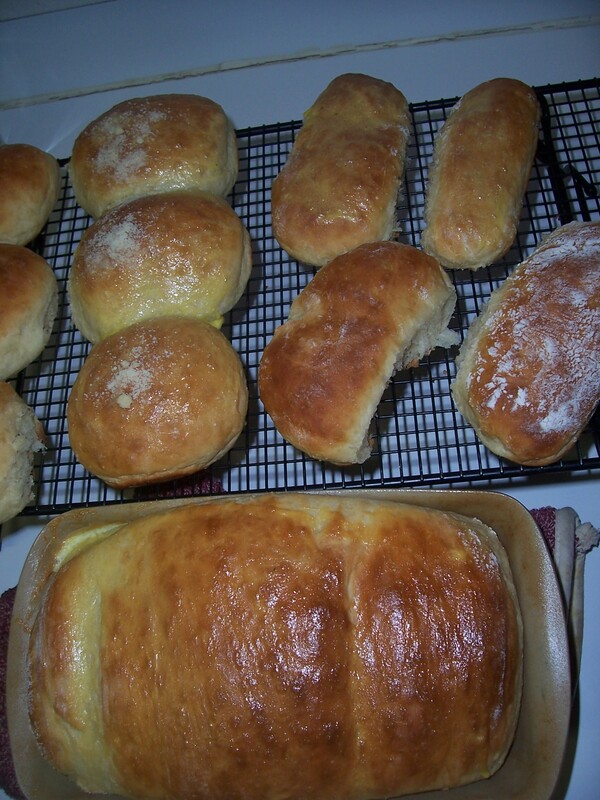 Homemade bread is one of my comfort foods. I love the smell, the texture and especially the taste. 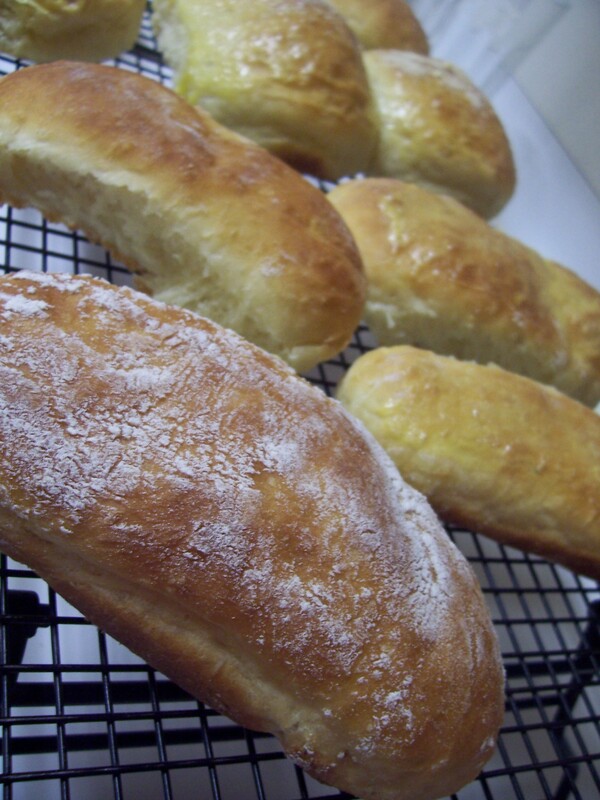 This Wednesday is homemade bread day! 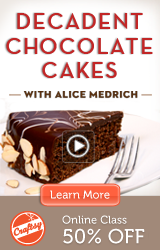 Why not make your favorite homemade recipe to celebrate this wonderful day? I have been playing with a potato bread recipe and I thought this would be great to share in case you want to try it. In Brasil, it is very common to find Pao de Batata recheado com Catupiry (potato bread filled with catupiry-my favorite cheese from Brasil). We were lucky to find catupiry cheese in Florida and I just had to make some potato bread to go with it! Enjoy! First you want to peel and boil your potatoes. (make sure you salt the water) Once the potatoes are soft, mash them either using a ricer, fork or food processor. 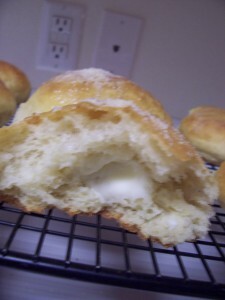 Add the mashed potatoes, milk, butter and honey into your mixer (with the bread attachment). You could mix this bread by hand as well. I used my kitchen aid mixer (also known as FRED). Mix it for about 1 minute. 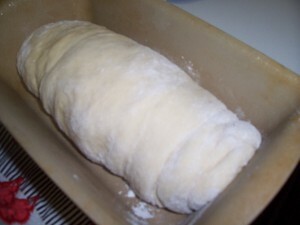 Add 4 cups of flour, yeast, salt, and sugar. Mix for a little bit then add the eggs (one at a time). Mix for about 4 minutes and check the consistency. 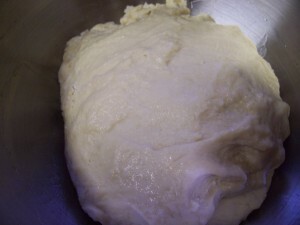 Here is where you will use either the rest of the flour (if dough is too sticky) or some of the 1/2 cup of water (if dough too dry). I usually end up adding about another 1/4 cup of so of flour and 1 T of water. 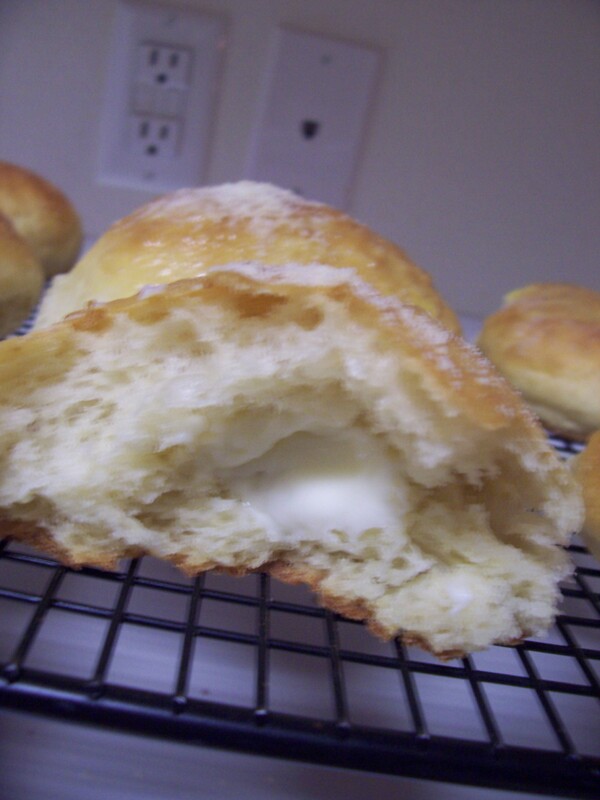 The consistency will be wet, soft but not too sticky. Let it mix for about 5-10 minutes. If doing it by hand, kneed it until soft. Transfer the dough to a bowl drizzled with oil. Cover and let it rest until it doubles it size. It will take about 1 hour. Bake for about 25-30 minutes at 350. 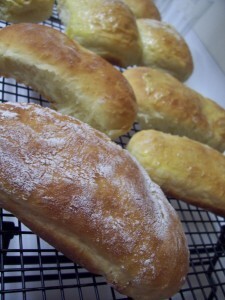 If you like a more gold-ish brown color, use 1 egg (beaten) and coat the top of the bread before putting it in the oven. 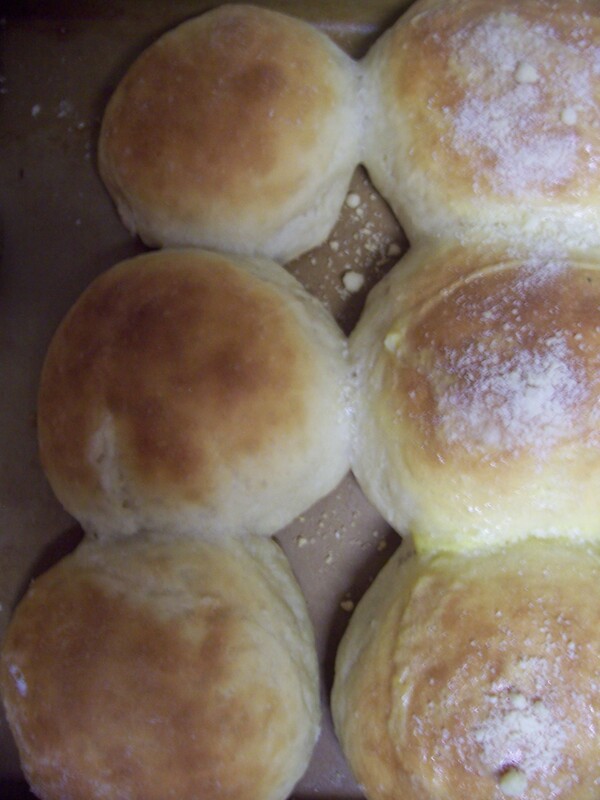 This recipe will make either 2 loafs, or 1 loaf, 6 dinner rolls and 4 hot dog buns. I used to eat Okra a lot in Brasil. It is difficult for me to find it fresh in the markets around where I live, but you can easily find it cut and frozen at the frozen isle of the supermarket. My mom couldn’t believe that you could buy pre-cut Okra here in the US. Okra can be a bit slimy when you start to cut it. So, if you can get that step done for you, even better. 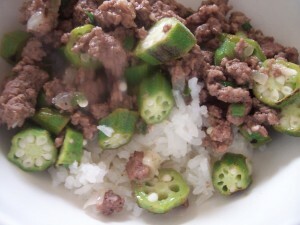 One of my favorite dishes to eat with Okra is the famous Quiabo (okra) com (with) carne moida (ground beef). It is a common lunch option in Brasil. Hope you like it! Sautee the onions with the oil. 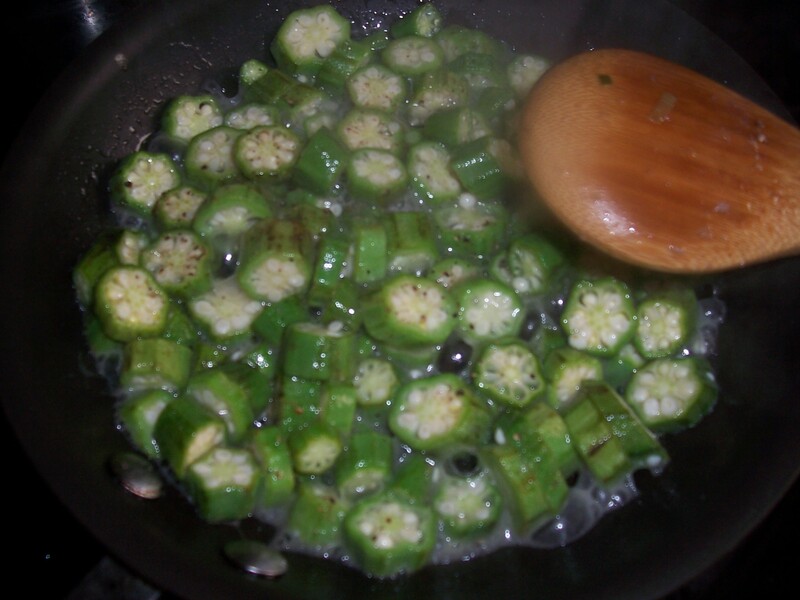 Add the cut Okra and sautee them for about 5 minutes. Season with the salt and pepper. You may notice that it might become a little slimy. Just don’t worry about it! After the Okra is soften and has a nice color, squeeze the lime juice on top of them and give it a quick mix. Sautee the 1/2 c of onion with the oil. Add chopped garlic. 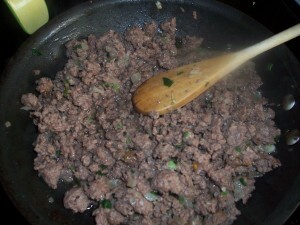 Cook for about 1 minute, add the ground beef, salt and pepper. Cook until ground beef is done. Taste for seasoning. If needed add more salt. Top with the chopped green onions. Now, you just need to mix the cooked Okra with the ground beef. Serve it on top of rice!